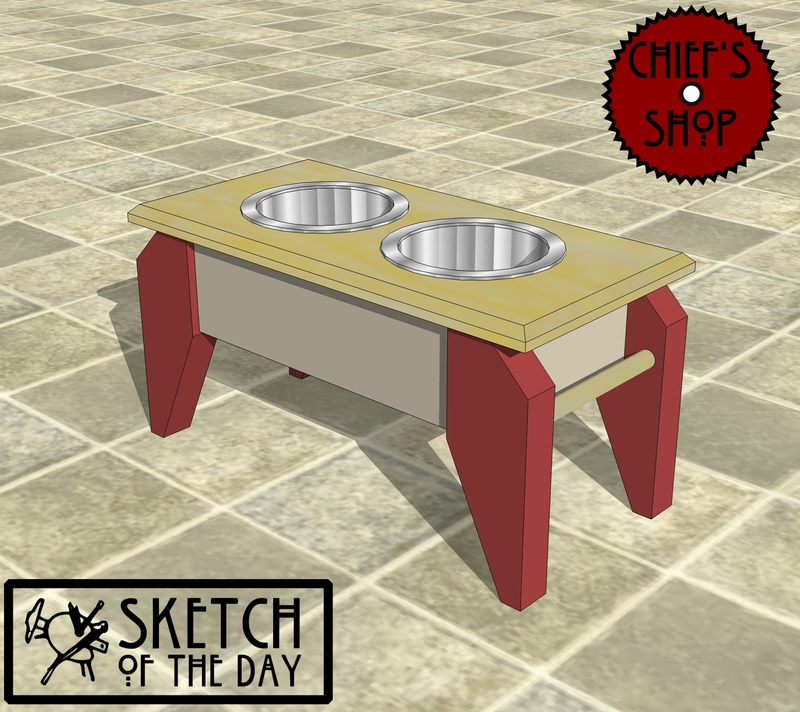 A pet dish stand concept. The dowels on the end are mainly for decoration, although they could be used for carrying the project. If a Sketch of the Day is popular enough, I turn it into a plan. I also will create a plan for one if I get specific requests.